Imagine charging your tech wirelessly. Yes, indeed this sci fi-like technology is actually available. 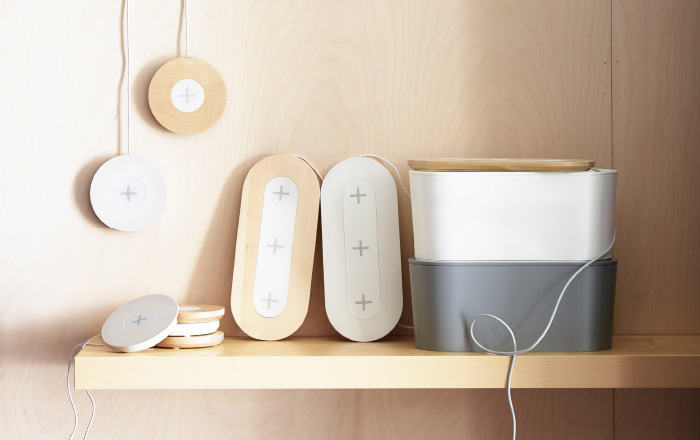 Ikea, the Swedish company that’s into minimalist design, is now offering wireless charging in its furniture. Their charging tech of choice is the Wireless Qi and is compatible with smartphones that carry this technology. Consumers and interior designers are cheering, for obvious reasons. Ikea plans on inaugurating its innovative line of lamps, bedside tables, desks and other wireless charging furniture in their U.K. and U.S. stores this April — with prices starting at a very reasonable $50. But what happens if your phone is an Apple, which is not equipped with Wireless Qi? Ikea has already thought of that. They have an accessory that you can plug your phone into rather than reach for an outlet. It is undeniable that the adoption of wireless technology is an important addition to both furniture design and industrial design. But how reliable is wireless charging furniture—a brand new tech—compared to a wall outlet? Well only time can tell.